The average user may be amazed to discover just how many businesses’ build their website using WordPress. This incredibly versatile platform allows the construction of variety of user-friendly websites for everything from blogs to large businesses. The only issue WordPress runs into? It’s speed capabilities. This can turn into a serious problem, since most people will only allow a website a couple seconds to capture their attention. If the website didn’t load in time? Too bad. You’ve lost your chance at a customer. In fact, research has shown that even a 2 second delay in page responsiveness can reduce user satisfaction by 3.8%, increase lost revenue per user by 4.3%, and reduce clicks by 4.3%. 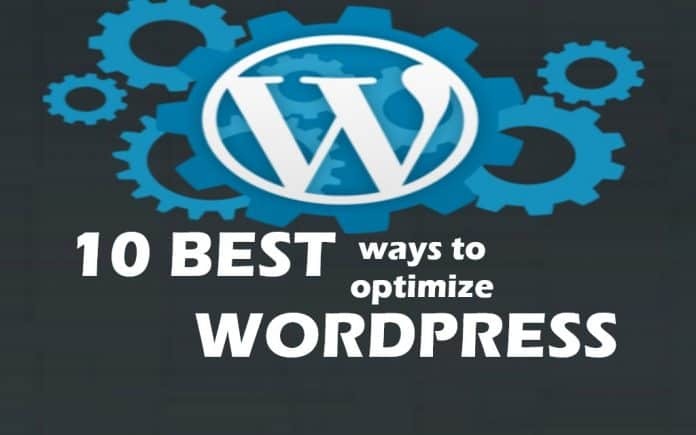 Luckily, there are many ways that you can improve your speed without giving up on WordPress. The hosting service you choose will play heavily into how robust your website is. Initially, purchasing cheap shared hosting may seem like a bargain with the added attraction of unlimited page views, but you will quickly learn that the bargain comes at a price. Shared hosting often suffers from slow site speed and delays in loading, you may even face downtime during periods of high traffic. If you’re planning on publishing popular content or there’s a chance you may go viral, you’ll want to invest in proper hosting to make sure your site doesn’t go down when you need it most. Look for a hosting service that offers top-notch customer service and pay a bit more for better hosting. There are a million themes you can purchase for WordPress with just as many features, but sometimes these bloated themes can mean that your site will move at a crawl. Buying or using a theme with a million features that you’ll never use can negatively affect your site’s loading time, to the point that you will lose viewers. To avoid this, look for trusted reviews on your theme of choice and don’t buy the latest shiny theme because it looks so cool, there may still be issues to work out on the backend and you don’t want your fledgling site to suffer because of that. Getting your homepage to load faster can be done with a series of small changes. It’s important that your homepage load simplicity, since it’s the first page most visitors will encounter and its speed will set the tone for the entire page. Try to keep your homepage simple and minimalistic. Users are coming to your page for content and not to scroll through eight million widgets just because you found them neat. Clean and simple means fast. Allowing hotlinking on your page can drastically reduce your page’s load time. Hotlinking can be seen as bandwidth ‘theft’. It occurs when other sites link directly to the pictures on your site, causing your server load to increase. To prevent this (especially if your images are copyrighted), implement code to stop hotlinking. To do this, you must paste a hotlinking disabling bit of code in your .htaccess file. Doing this will lighten your server load and speed up your page. We all make mistakes, but that doesn’t mean WordPress needs to save all of them. If left to its own devices, WordPress will save every revision and draft of a page until the end of time, but this isn’t the most useful setting. Luckily, you can control this. Using a plugin like Revision Control, you can set the amount of saved revisions to 2 or 3 as opposed to unlimited so that it doesn’t clutter your backend with unnecessary drafts. While you can find image optimizer that will drastically reduce file size without harming the picture quality, most require that you do it manually. If you plan on posting a lot of images to your website, their size can start to hamper the speed at which your WordPress site operates. To prevent this, consider investing in an automatic image optimizer like WP-SmushIt, which will process all of your images automatically as you upload them. Gravatar images don’t add much to your site and removing them can be a quick and simple way to help speed up your page. 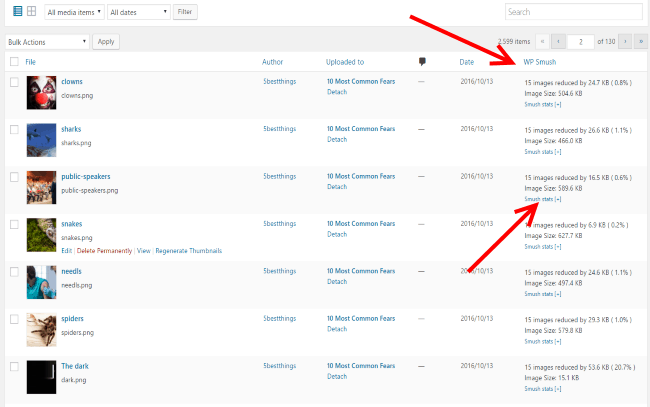 You will notice that some sites choose to have blank Gravatar images in place of a custom icon and some go as far as to disable them throughout their blog. While having one is an aesthetic choice, if you choose to disable it all you have to do is set the default image to a blank space. In its default setting, WordPress interacts with other blogs that are equipped with pingbacks and trackbacks. What happens with this is that every time another site mentions yours, it notifies your site and updates the data on that post. By turning this off, you will remove a setting that generates a lot of work for your site. Don’t worry, turning it off won’t destroy the backlinks to your site! @ number 5, check out my popular ‘Optimize Database after Deleting Revisions’ plugin!